We may love our games, but we have to step away from the keyboard for food and drink now and then. But there’s no reason we can’t take our gaming to the kitchen with us (and, no, not just by bringing our laptops along). Blizzard’s games have inspired creative chefs to make foods that come from or represent their favorite gaming universes. So today we’ve rounded up our very favorite Warcraft, StarCraft, and other Blizzard-themed foodstuffs. Come along for a tasty culinary adventure! 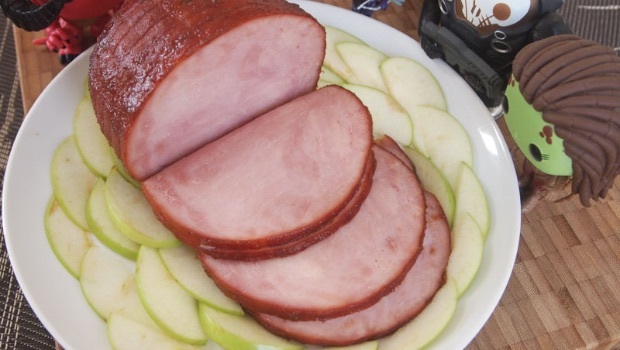 Eat Game Live has a ton of great gaming recipes (and we’ve even talked about our favorites before), but the latest to make us want to head to the kitchen is the Ham on the Core Ham. With a joke like that, we knew it could only be a matter of time before someone cooked up a version. But if ham isn’t your thing, might we also recommend Gorgrond Chowder, Green Curry Fish, Rylak Crepes, or Well Played Ravioli (because justice demands ravioli)? If none of that strikes your fancy, though, there’s plenty more. Though Warcraft is only a small percentage of the available recipes, we bet you’ll enjoy The Geeky Chef. Though we weren’t planning on getting into sweets in this section, we couldn’t resist the Tasty Cupcakes by Little Miss Nerd Chef. However, she has other Warcraft and similarly geeky foods on her site, which is well-worth browsing. Want to see how she comes with her recipes? Check out our interview! Have a sweet tooth? We have cookies, cakes, and a single, solitary pie to satisfy. Want to make your own treats? This video will walk you through making your own Hearthstone card-back cookies!